One of the easiest ways to make better black and white photos in Lightroom is to use the Clarity slider to give your images extra punch and impact. 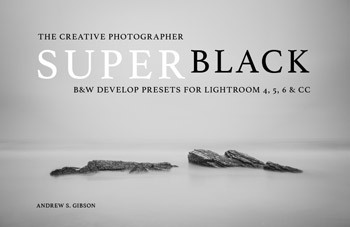 Today I’d like to show you several ways you can use it to improve your black and white photos. Applying Clarity does two things. It increases the contrast of the photo, but only a little (compared to the Contrast slider). It brings out and emphasizes any textures in the photo. 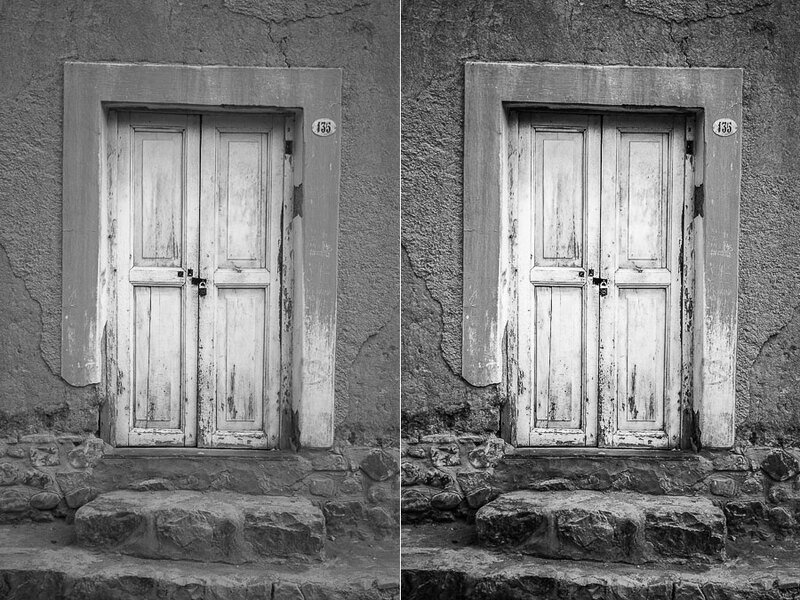 This second effect is great news as you can use it to enhance virtually any black and white photo. 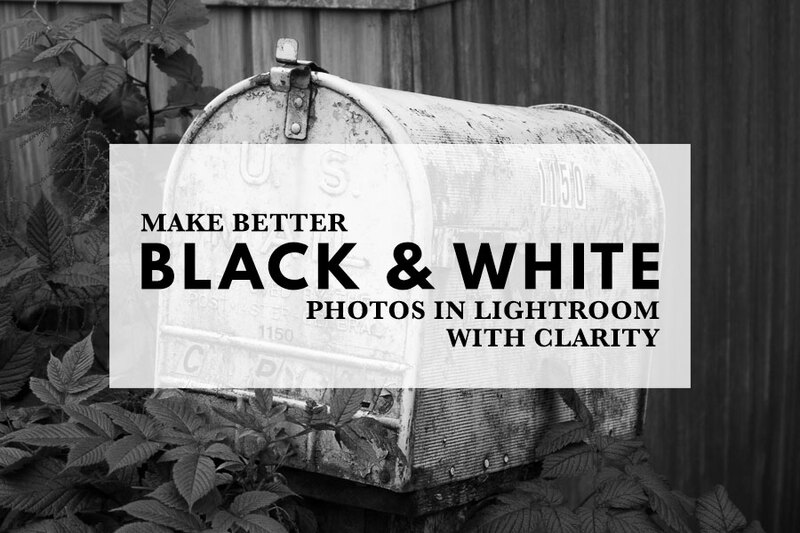 A small but subtle boost to Clarity lifts most black and white photos. 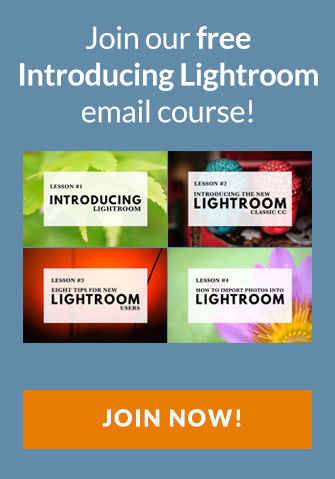 But images with lots of texture often benefit from a bigger increase in Clarity. If you’re working with a flat photo you can also increase the Contrast to make the photo more punchy and impactful. Often it’s a matter of playing around with both sliders to find the best combination. Let me give you an example. 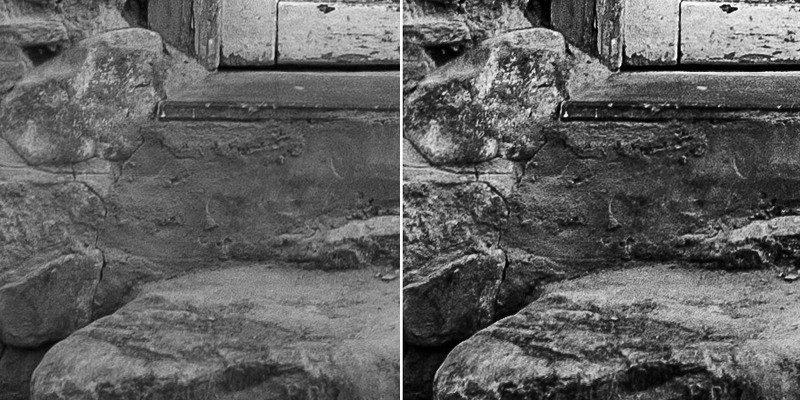 The photo below was taken in flat light and as a result lacks contrast (left). In Lightroom I set Contrast to +67 and Clarity to +100, giving the result on the right. If we look at the result at 100% magnification we can clearly see how increasing Clarity has bought out the beautiful textures of the stonework. 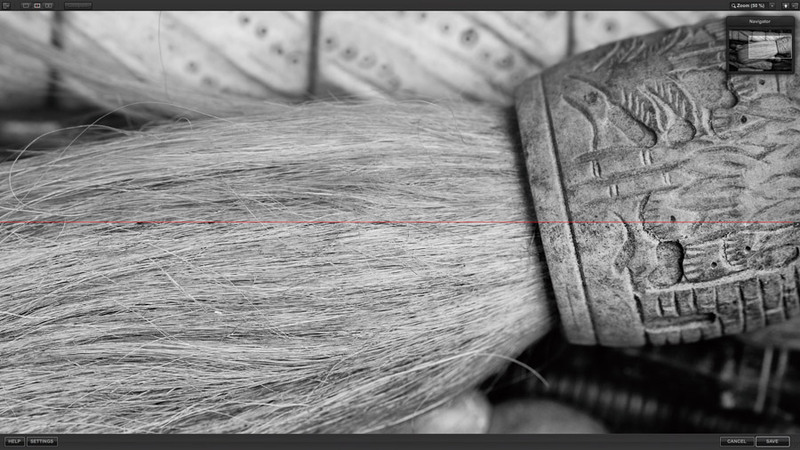 The Clarity slider is a global adjustment and moving it affects the entire photo. This is useful to bear in mind when you’re developing images that use selective focus as part of the composition, like the one below. In this particular photo it makes sense to apply Clarity to the mailbox, which is sharp and also the main focal point of the photo. The idea is to avoid applying it to the fence, which is out of focus and doesn’t have any important texture we want to enhance. 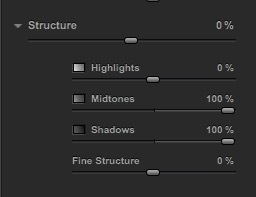 You can do that with the Adjustment Brush, creating a mask that looks something like this. I set Clarity to +100, and also increased Shadows to compensate for the natural tendency of Clarity to make the photo darker. Here’s the result. Why does this work? There is a theory in photography called visual mass that states that certain elements pull the viewer’s eye more than others. One of these elements is sharpness. The eye goes to sharp parts of the image before it goes to unsharp, or out of focus areas. You can use this to your advantage with local Clarity adjustments. 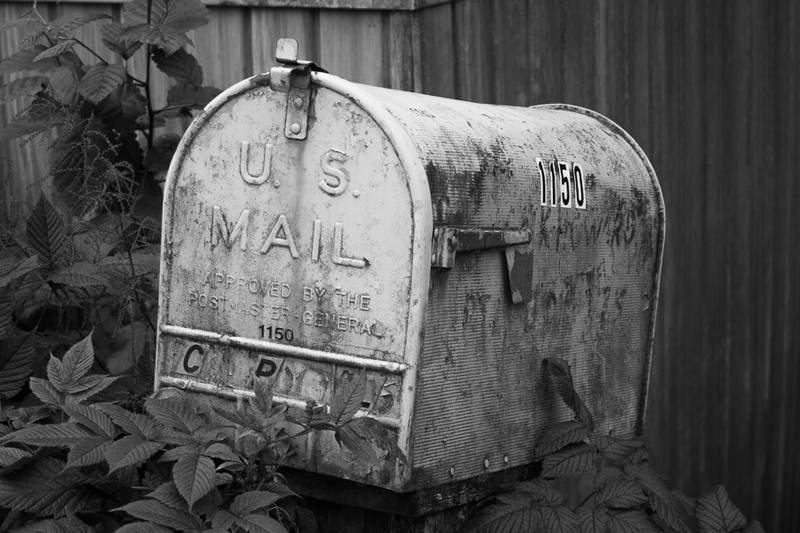 This has the effect of increasing the relative sharpness of the main subject (the mailbox in the photo above) compared to the out of focus background. This in turn helps push the viewer’s eye to the parts of the composition that you think are important. There’s another area where increasing Clarity locally can make a huge difference and that’s in portraiture. For example, you can use either the Radial filter or Adjustment Brush to increase the Clarity of your model’s eyes. Again, it’s a subtle, but often effective change. You can also do the same with your model’s mouth to emphasize the lips. Remember that as Clarity tends to make things darker, you’ll probably need to increase Exposure or Shadows a little as well to compensate. 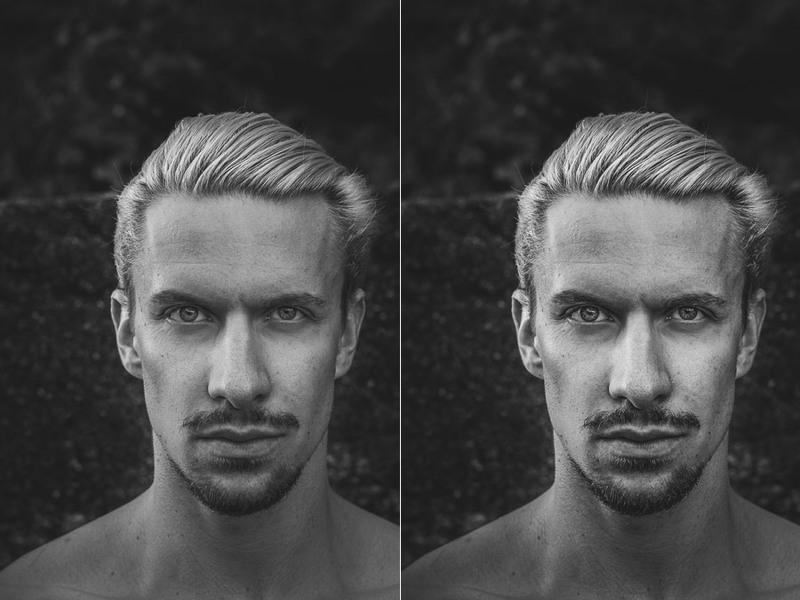 With portraits of men you can often take this further and apply Clarity to the model’s skin. It’s a good idea not to overdo it, but used wisely Clarity can bring out the skin’s texture. 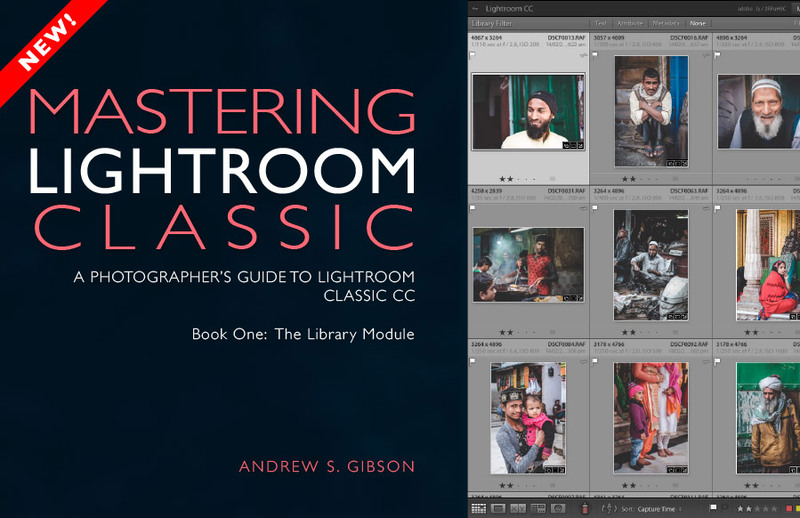 Portraits of men can be a lot of fun to develop in Lightroom because, unlike portraits of women, it’s not conventional to apply skin smoothing. 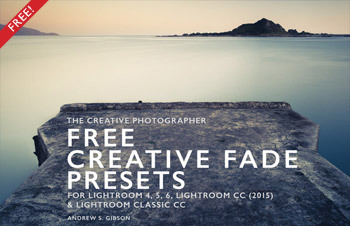 This gives you more freedom to play around with tools like Clarity that enhance texture and boost contrast. Here’s an example. For the second portrait (right) I used the Adjustment Brush to create a mask over the model’s face. I set Clarity to +100 and Shadows to +100. Here’s the result. So far we’ve seen that using Clarity to bring out texture is a key part of making good black and white photos in Lightroom. But if you’re feeling adventurous and want to experiment with plugins you’ll find a whole new world opens up to you. 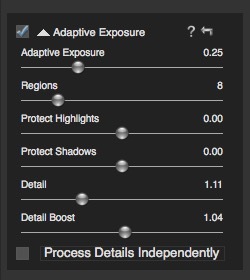 That’s because most black and white plugins have advanced tools for enhancing texture and bringing out detail. 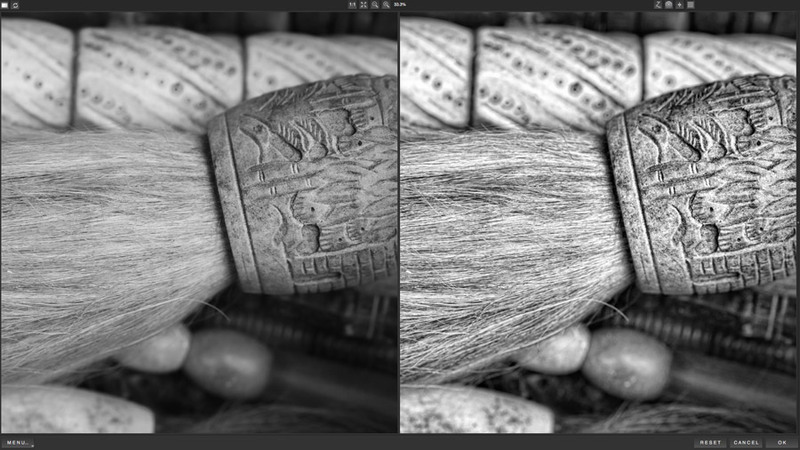 Let’s take a quick look at two of my favorite plugins, Silver Efex Pro 2 and Topaz B&W Effects, to see what options they offer. 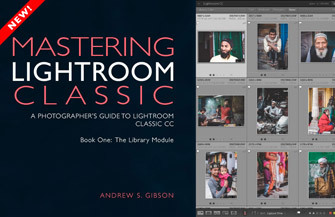 Regardless of whether you apply Clarity as a global or local adjustment, Lightroom applies it equally across the affected area. You can adjust the intensity, but you can’t change the tones affected. Each slider applies Structure to the corresponding tones, giving you a great deal of control over where and how it’s applied to your photo. This screenshot (a 50% enlargement) shows the result of adding Structure to the Midtones and Shadows of this particular photo. Silver Efex Pro 2 is part of the Nik Collection by DXO 2018. You can download a trial or buy the software here. 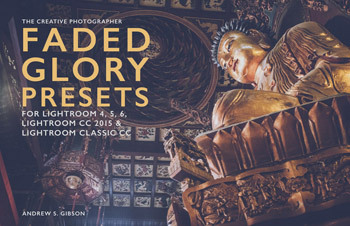 You can also download the free 2012 version of the Nik Collection here, although it’s no longer supported and not guaranteed to work with the latest versions of Lightroom and Photoshop. The Topaz B&W Effects plugin also gives you several tools for bringing out texture. 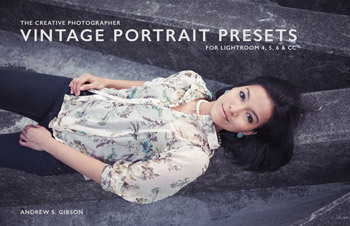 The Adaptive Exposure slider adds mid-tone contrast in a similar fashion to Lightroom’s Clarity slider. The Detail and Detail Boost sliders let you bring out even more textures. This is what the relevant sliders look like. Here’s the sort of result you can get, using the same photo as earlier. By the way, we’ve only touched on the capabilities of Silver Efex Pro 2 and Topaz B&W Effects in this article. If you’re curious to see what they can do I recommend you download the trial versions and test them out. 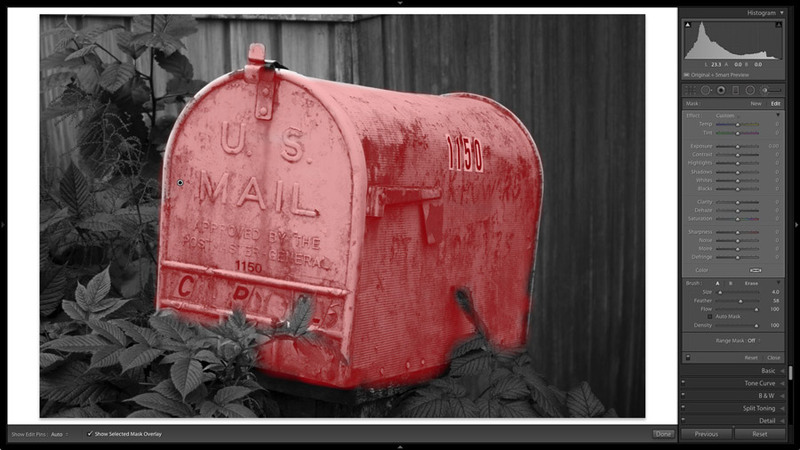 You can download a free trial or buy Topaz B&W Effects here. Very helpful article! Some of those suggestions are fantastic. I always use masks in Photoshop but never have learned how to create one in lightroom! Sometimes I think that clarity slider is overused, almost like a crutch, resulting in that what I call “ bad ESPN portrait look”, but applied judiciouslyclarity really makes relevant images better. I have so much experience printing black-and-white images in a physical darkroom that I really need to get over my computer laziness and start being more experimental on the computer! Bad ESPN portrait look – I love it! For some reason wedding photographers love to overuse Clarity (I’ve no idea why). But you have a lot more leeway in black and white than you do in color, which is why it can work so well.